In a pending Philadelphia Court of Common Pleas case, a woman claims she was attacked by multiple bed bugs at a Manayunk, PA movie theater. Although the case is particularly severe, it represents an example of how people can be affected by bed bugs in public places. Unfortunately, bed bugs are not restricted to the particular area for which they are named. 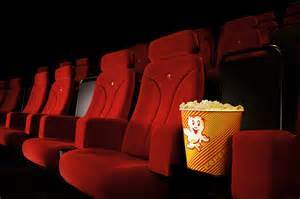 Movie theaters are only one instance of possible bed bug contact for humans. Any place with high traffic, fabric covered seating where people are still for long periods of time, and with dark or shadowed lighting can become a home to bed bugs. This includes hotels, churches, cruise ships, Laundromats, hospitals, dorms, and more. – Remove clothes immediately and put them in the dryer at high heat for 30 minutes. Bed bugs do not travel on people, but they do travel on people’s things. Jackets, clothes, purses, and book bags are all capable of transporting bed bugs to a home. Include these items in the dryer if possible. – Use a flashlight to check bedding or seating for possible bed bugs before sitting. If the theater (or other locale) is already dark, have a flashlight available to check over the seating to be sure no bed bugs are on the furnishings. In hotels, looking behind the headboard is helpful as well. – Be sure to check crevices and dark places, even in well-lit rooms. Bed bugs are generally inactive during the day. They feed in the dark and mostly at night. However, they can still be found in shadowed crevices and corners during the day if a person knows where to look and has a flashlight.